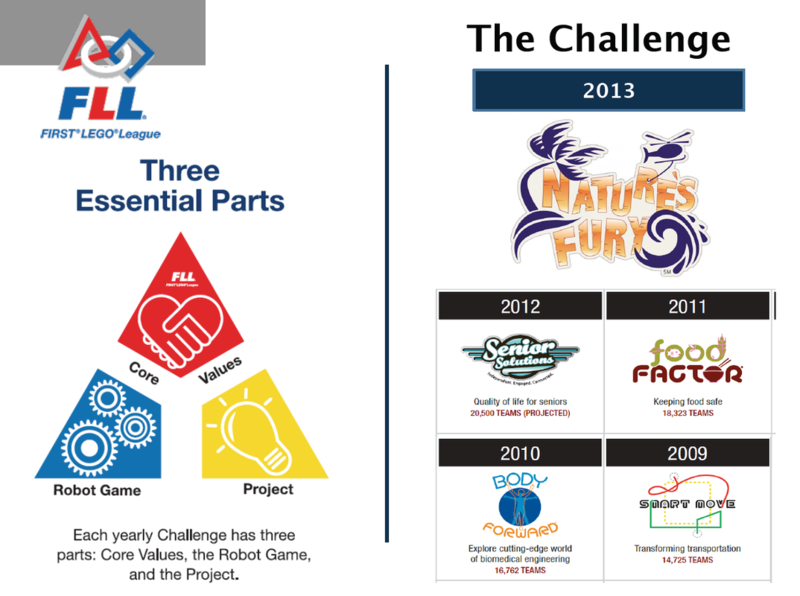 FIRST LEGO League is a robotics program for 9 to 16 year olds. Please visit http://www.firstlegoleague.org to learn more. If you have questions about starting a local team, contact Amy Harmon Krtanjek at amyhk33@gmail.com and view the information here. Click on the graphic below to view full information packet.